No doubt, the autel maxisys elite OBD-II scanner certainly surpasses much beyond the general expectations with any vehicle engine scanner tool. 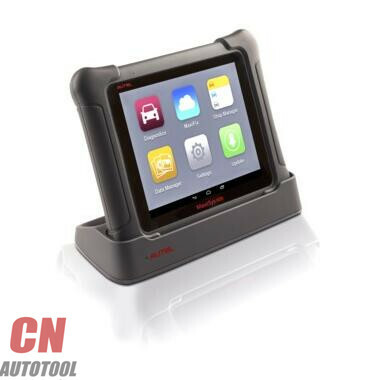 The Autel MaxiSYS is designed for 3 purposes – Multi Tasking, Speed and Simplicity that is the prime need, especially, for any busy automobile repairing workshop. Autel Maxisys Elite Scan Tool is for any workshop owner who wants to close the deals much faster with a reliable scanning device. Yes, you can rely on this small diagnostic gadget. Although the price might deter you purchasing this one but it earns it’s cost within a few months after buying. It’s a product that over delivers. In my research, I found it to be the smartest code scanner in the market that has a positive track record for serving it’s buyers. Although anyone who loves it can buy it but the device is designed with a commercial aspect. It is mainly intended towards helping mid-scale or large-scale workshops and vehicle repairing houses. The price, the quality, the technical support etc are all set to top-notch standards that makes it too much for the general individuals who wants a simple car diagnosing scanner device for their personal car. Most of the features are useless for a general car-owner but highly-beneficial, infact best for the experinced DIY and automotive Mechanic or garage owners. • Runs on 4.3 Jellybean Android Operating System that can be up-gradable to kitkat 4.4.4. It enables the device to perform multi-tasking in one touch. • Covers more than 80 vehicles of United States, Asia and Europe continent. On the other hand, Autel frequently releases new vehicle library updates making it compatible with newer vehicles. Not only this, you can also request a custom upgrade for yourself. • Wide range for the wi-fi and the blue-tooth that Provides a greater mobility for you. You can linger throughout your work space without loosing a connection. • Intuitive design with virtual navigation option. It has Enhanced Vehicle Communication Interface (VCI) means the on screen navigation can be toggled on or off that provides full space for the display. • Supports immediate troubleshooting of the diagnostic errors. All the error codes are displayed with a short description. You don’t need referring to the code manuals to find details of the diagnostic errors. • 9.7’’ of retina capacitive touch-screen with resolution of 2048 x 1536 pixels that provides ultra clear visuals of the diagnostic data. • The NVIDIA Tegra 4 (4-PLUS-1) 1.8 GHz quad core processor, ARM Cortex-A15 CPU and 2GB of Ram makes it an ultra-fast device.